The Honeys of Ethiopia network was created to promote one of the country’s most representative food products. 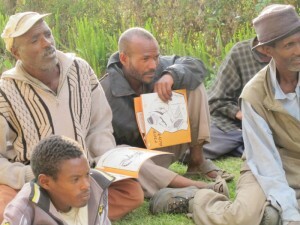 Two Slow Food Presidia, Tigray white honey and Wenchi volcano honey, formed the network’s starting point, and in 2009 it was expanded to include the Terra Madre beekeeping communities. The project is the result of a collaboration between Slow Food and several Italian partners: Modena per gli Altri (MOxA), Parma per gli Altri (PPA) and CONAPI, the consortium of Italian organic beekeepers and farmers. Established to safeguard a sector that more than any other reflects the biodiversity and wealth of the local environment, the network offers a kind of map of Ethiopia’s best artisanal honeys. 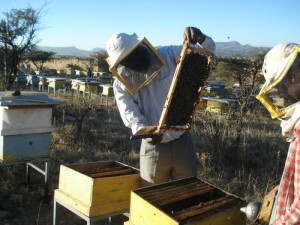 As well as providing technical assistance to the producers, it also promotes honey by-products, like wax and propolis. The medium-to-long-term objective is to organize a good commercial network that will allow the beekeepers to access the national market, even those living in very remote areas. This will allow them to obtain a fair price that reflects the efforts they have made to improve the quality of their honey. To date, the Honeys of Ethiopia network includes the four Presidia (Wenchi volcano honey, Tigray white honey, Rira honey and Bore honey) , Wolisso, Shalala, Horde, Getche, Badogo, Wondo and Wassarà. 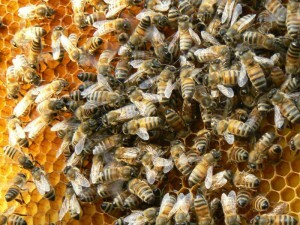 Each honey has different characteristics, reflecting the unique environment, climate and flora of their places of origin.